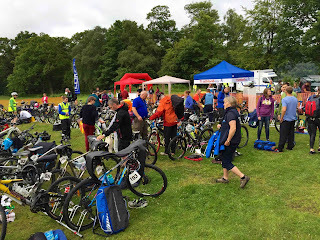 Last weekend I raced my first Sprint Triathlon - The Loch Lomond Beastie. 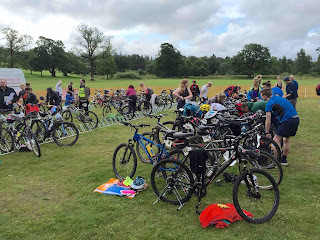 750m swim, 15km mountain bike, 5km run all in the grounds of Balloch Country Park and superbly organised by Loch Lomond Swimming & Triathlon Club. These are the notes I made afterwards, mainly for my own benefit so I won't forget. 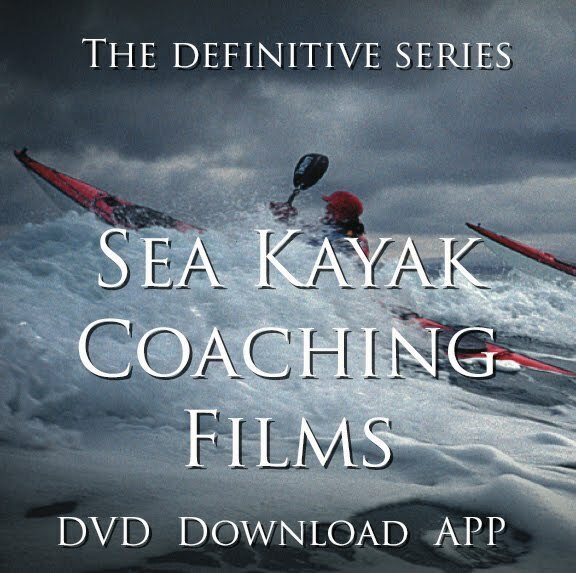 I am new to triathlon so please - experienced triathletes - add your contributions in the comments. 28th out of 117 put me in the top 20%, and 6th in my age category was very satisfying, but there are some negatives to note. SWIM - I was 41st out of the water. Clearly there is huge room for improvement. I was slightly freaked by all the flailing arms and legs and I confess to a momentary panic "I don't think I can do this". My open water swims in local Loch Sunart had gone well, and I thought I could start fast on this shorter distance. But I went too fast, had a few collisions, swallowed some water and got whacked on the head a few times. By the turn I was feeling much better and I feel my return swim was better form and probably faster. I must get used to all this. 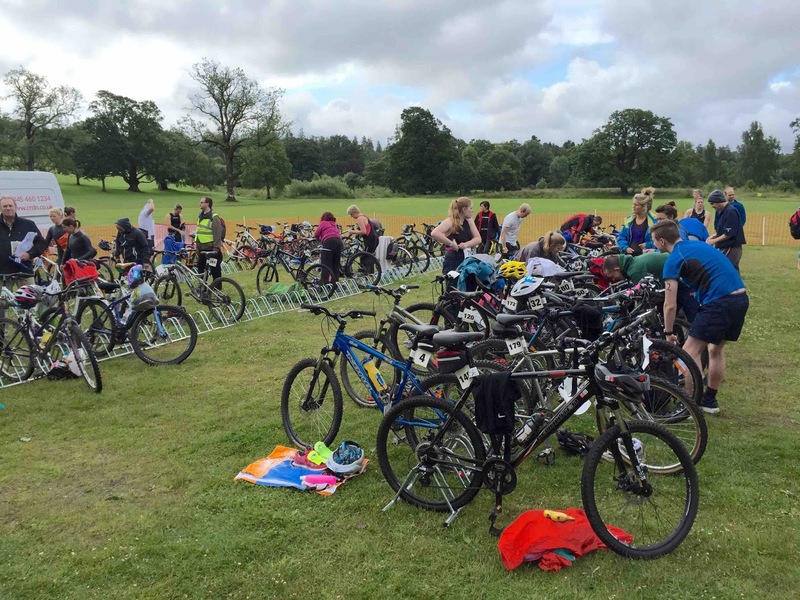 BIKE - The course was three laps of tarmac, gravel track, slippery grass and gloopy mud. I loved it. I had forgotten how much I enjoy mountain biking. Walking the course the day before made a huge difference because I knew it was going to be slippery and muddy. My bike and my head were ready. As it was I rode the whole course - many pushed on the wet, grassy hill or dabbed in the mud. I was 23rd on the bike. My biggest mistake was to misjudge my energy intake. I used two gels and a sports drink on the bike, where I now realise (and should have realised then!) that in 1hr 30min I don't need any additional sugar. RUN - As a result, the moment I started to run my gut cramped. I had what felt a little like a stitch in my left side for 3km of the 5km run. 22'45" is a slow 5km run and I finished 58th. Thank goodness I had done well on the bike! So my main lessons are to improve my swim, improve my run and in particular pay attention to refuelling - don't take gels when they can't do any good. I tried to thank all the marshals as I made my way to the finish. 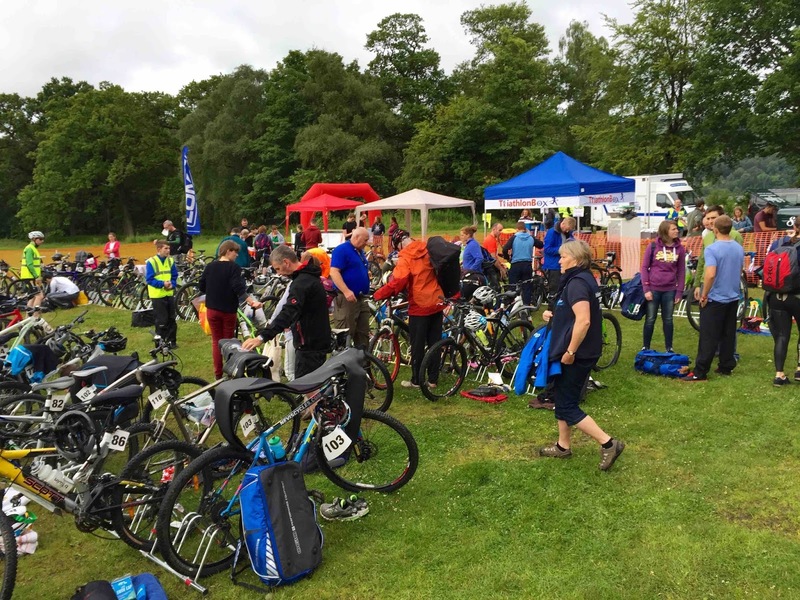 It was a well run event, organised in conjunction with a shorter novice/super sprint (The Wee Beastie). Both are deservedly popular.